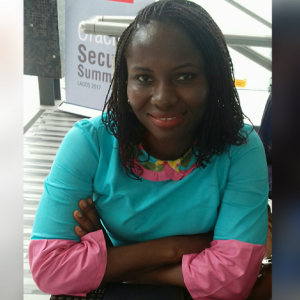 Precious A. Emodamori is one of Nigeria’s Mental Health Advocates, blogger at www.idaretoblossom.org , Content Manager and a seasoned Marketer who combines digital and traditional marketing skills to create brand awareness, promote public representation and boost businesses. Her insight and passion for creating positive mental health awareness stems from her everyday life experiences and being diagnosed with bipolar disorder in 2003, following a nervous breakdown that resulted into a psychotic episode. The fear of the unknown was real. I was scared that life would never be the way it used to be prior to when I experienced a nervous breakdown in 2003. One major characteristic of living with Bipolar Disorder is the constant battle to live a balanced life. I had to develop coping skills to avoid living at any extreme ‘pole’ of life. Developing coping skills at 20 while recovering from a major psychotic episode meant that I had to come to terms with myself and confront my limiting beliefs. I had to remind myself that life is a gift – a beautiful gift that deserves to be lived purposefully. I did a mental audit of the things I could do and the things that made me happy. Then I made the decision to live intentionally and keep going, regardless of the glary limitations. For me, every day is an opportunity to live life to the fullest in all I do. From my experience, anyone managing Bipolar Disorder may feel like a victim of the changes that accompany the diagnosis and treatment. There will be days you will feel so sad for no reason and you will be so excited on other days! So far, living with Bipolar Disorder has taught me that everyone has the chance to be the best version of themselves if they unlearn helplessness, quit the victim mentality and follow a step-by-step process to live a purposeful life. Every day, it’s becoming clearer to me that the answer to ‘will I ever be okay?’ is YES. A “yes” that is directly proportional to how I improve my mental wellbeing. How do I do this? By seeking professional help, taking my prescribed medication and making a commitment to myself to live life to the fullest. I recognise that even though I was diagnosed with Bipolar Disorder, I am not the diagnosis. This is why I often say: ‘my name is Precious, I was Bipolar and I live a full life’ – a life that is Worth Living!